Some users have been complaining that they get the ERR_SSL_BAD_RECORD_MAC_ALERT error when trying to access some web addresses. Most affected users report that they only get this error while trying to connect to accounts.google.com – the address responsible for handling the login for most (if not all) of Google’s services. However, the issue does not seem to be exclusive to Google Chrome, as most affected users report that the same web addresses are also not accessible from different web browsers. What is causing the ERR_SSL_BAD_RECORD_MAC_ALERT error? 3rd party Antivirus software is inspecting the HTTPS traffic – Although most Antivirus software is configured to do this by default, some end up being overprotective. Affected users report that they managed to resolve the issue after disabling HTTPS inspection (SSL Scan) from their 3rd party AV settings. Router’s MTU value is incompatible with the network configuration – The error is also confirmed to occur if the router’s MTU value is incompatible with the current network configuration. If you’re currently struggling to resolve this particular issue, this article will provide you with a selection of verified troubleshooting steps. Below you have several methods that other users in a similar situation have used to get the issue resolved. For the best results, follow the methods below in order until you stumble upon a solution that is effective in your particular scenario. As per various user reports, the issue is likely to occur if you have a third party Antivirus software that is configured to inspect HTTPS traffic in order to guard against malicious attacks on the secure channels. Although this is not necessarily a bad thing, a lot of 3rd party AV suites including ESET, AVAST, BitDefender, and McAfee are reported to facilitate the apparition of the ERR_SSL_BAD_RECORD_MAC_ALERT error. Most affected users have managed to resolve the issue by disabling the HTTPS inspection feature from the AV’s settings. You can typically resolve this problem by preventing your 3rd party antivirus from doing any sort of HTTPS inspection (SSL scanning). Of course, the steps of doing this are highly dependent on the AV that you’re using. On BitDefender, you can disable this feature by going to Settings > General > Advanced and unchecking the Scan SSL entry. If you are unable to find the equivalent settings (it might not have the option to disable HTTPS inspection), the only way to ensure that the error is not occurring because of your AV is to uninstall it completely. You can ensure that you uninstall it completely without leaving any leftover files (that will enforce the same rules) by using our guide on How to Completely Uninstall a Third-Party Computer Security Program. Note: Affected users report that the ERR_SSL_BAD_RECORD_MAC_ALERT error is not occurring while Windows Defender is the active security option. If this method wasn’t applicable to your particular situation or it hasn’t helped you to resolve the issue, move down to the next method below. Some users reported that for them, the fix was as easy as updating Chrome to the latest version. But keep in mind that this fix is only reported to be effective for users that have been only encountering the issue on Chrome and had a very old build installed (20 – 40). Open Google Chrome and go click the action button in the top-right corner. 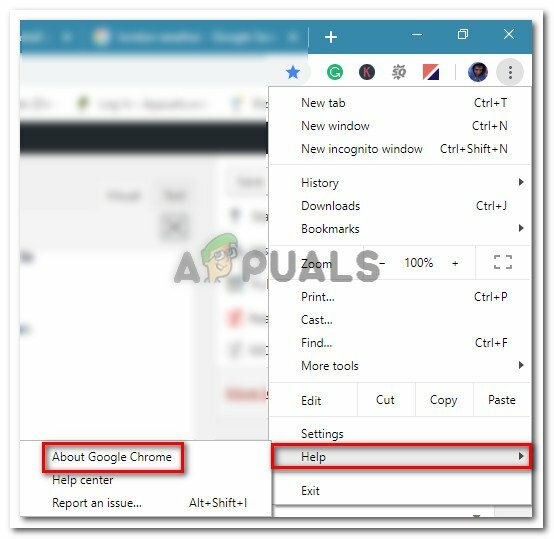 Then, click on Help > About Google Chrome. 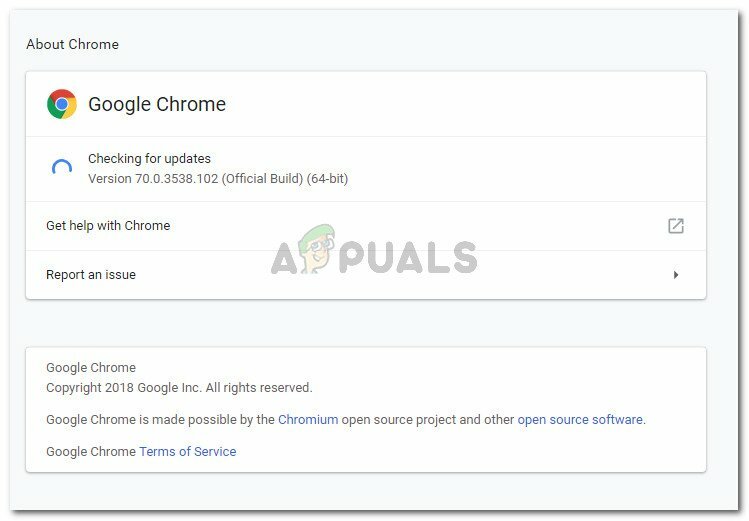 Note: Keep in mind that Google Chrome is configured to update by default. However, manual user intervention or certain extensions might change this default behavior. Wait until the scan is complete, then click on Update Chrome and wait for the new version to be installed. Restart your browser and see if the issue has been resolved. If you’re still encountering the issue (or you’re encountering the issues accessing certain websites with multiple browsers), move down to the next method below. A lot of users encountering the ERR_SSL_BAD_RECORD_MAC_ALERT error have managed to resolve the issue entirely (on every device connected regardless of the used browser) by changing the involved router’s MTU value to 1400. Launch a web browser and enter your router login address. Most routers use the default IPs: 192.168.0.1. or 192.168.1.1. Look through your router’s settings and for any Network or WAN setting that allows you to change the MTU Size. On most routers, you can find this in the Advanced menu under WAN setup. Set the MTU size to 1400 and hit Save (or Apply) to save the changes. Restart your router and see if the issue has been resolved by trying to access the same address that was previously triggering the ERR_SSL_BAD_RECORD_MAC_ALERT error.